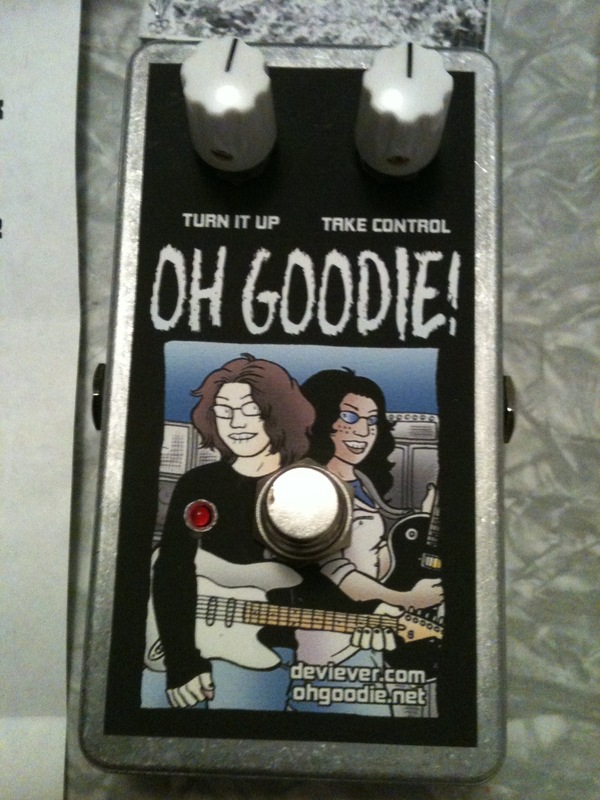 Now, before you ask: no, it’s not a custom pedal. Devi was kind enough to take one of her Aenima fuzz pedals and give it a custom “Oh Goodie!” graphic which I designed myself. She also included a ‘zine, an instruction page with her and Charlotte picture, a mix CD, and a lollipop (cause she’s a sweetie pie). I’m hoping to record a video demo for you guys and post it soon. Even at the lowest settings this thing sounds sick! Sounds especially good in Drop D!